Our favourite DIY, skate-pop-punkers (who we tipped back at the start of the year as “one to watch out for” and who, in the name of “self-fulfilling prophecies we’re repping at every opportunity), have just released a new video for a track off their debut, self-titled album, about which we now also have full details. Check them, and the video, below. Below you can find the official promo video for Smoking Kills, the first track taken from Gnarwolves self-titled debut album which is released in the UK and Europe via Big Scary Monsters / Tangled Talk, in the US via Pure Noise and in Japan via Ice Grills. After three years, three EPs and hundreds upon hundreds of shows, we’re thrilled to announce that Gnarwolves’ self-titled debut album arrives this September on Big Scary Monsters/Tangled Talk. It’s set to be a big summer for the trio, with them opening up the main stage at this year’s Reading and Leeds festivals alongside supporting Blink-182 in the Czech Republic. Once these tracks are heard in full, next year could be even bigger. 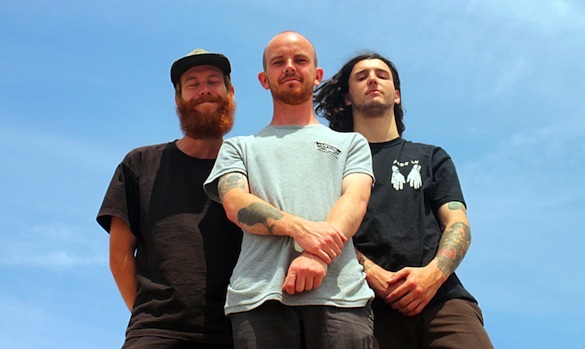 Gnarwolves can be found on Facebook, Tumblr, Twitter and Bandcamp. All words Guy Manchester. More words by Guy can be read here. He tweets as @guid0man & uses Tumblr.